What percentage of ‘no’ do you not understand? FAR be it from me to take Enda Kenny’s side in anything if it can be avoided, but isn’t Fianna Fáil making a bit too much hay, still, from the Seanad referendum result? 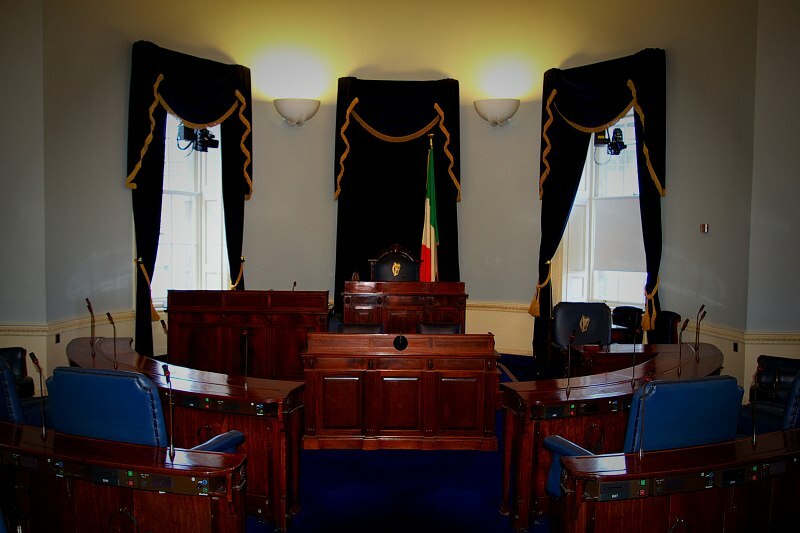 This week, children’s minister Frances Fitzgerald made one or two respectful remarks about the Upper House, which inspired FF to bleat, yet again, that the whole abolition business was a personal crusade on the Taoiseach’s part. Has Fianna Fáil forgotten that the referendum was defeated by only 42,500 votes? It calls to mind the luckless half of the American population who spent eight years being falsely accused of having elected George W Bush. More than 600,000 people were against Enda’s Seanad “crusade”, but just under 600,000 were with him on it. Not exactly a solo run. YOU could tell a lot about a lighthouse keeper by his clothes. If you were around in 1934, when James McGinley was principal keeper at Loop Head Lighthouse, and if you were in a position to give him the once over, you might have been able to form an opinion as to the character of the Taoiseach’s grandfather, and hence maybe of the Taoiseach himself. Among the rules and regulations for Lightkeepers, a stern 53-page document issued by the Commissioners of Irish Lights in 1934, are the following stipulations with regard to lightkeepers’ uniforms. Each lightkeeper was allowed either a fine serge reefing jacket suit and one pair of trousers only, OR a rough serge reefing jacket suit, together with two pairs of trousers. This goes to show that, perhaps not all that surprisingly really, there were two kinds of lightkeepers – those who favoured aesthetics and those who favoured practicality – and the Commissioners felt it necessary to make allowances for both kinds. There is no knowing now, all these years later, whether James McGinley preferred the elegance of a good quality serge jacket to the convenience of having a spare pair of trousers. But looking his grandson up and down in a hypercritical manner almost 80 years later – taking note of the unsophisticated pinstripe, the insubordinate hair and that reliable but archaic Nokia that he’s forever being photographed with – you can’t help concluding that this is a family that doesn’t rate appearances too highly. 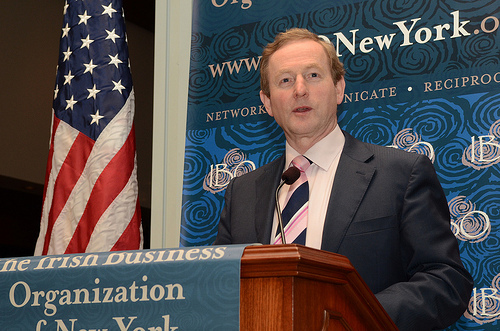 Enda invoked his grandfather’s spirit on his visit to Loop Head lighthouse last Friday – and not for the first time. James McGinley is one of the recurring motifs of the Taoiseach’s speeches. He mentioned him at that memorable Fine Gael ard fheis in 2007, just before he amazed his party by losing another general election to Fianna Fáil; he mentioned him in his St Patrick’s Day speech on Capitol Hill last year; he mentioned him at his mother Eithne’s funeral mass in Mayo last November; and he mentioned him before a gathering of politicians, schoolchildren and local onlookers at the most westerly point in Clare last week. The uncle in question, Patrick Joseph McGinley, was also present. 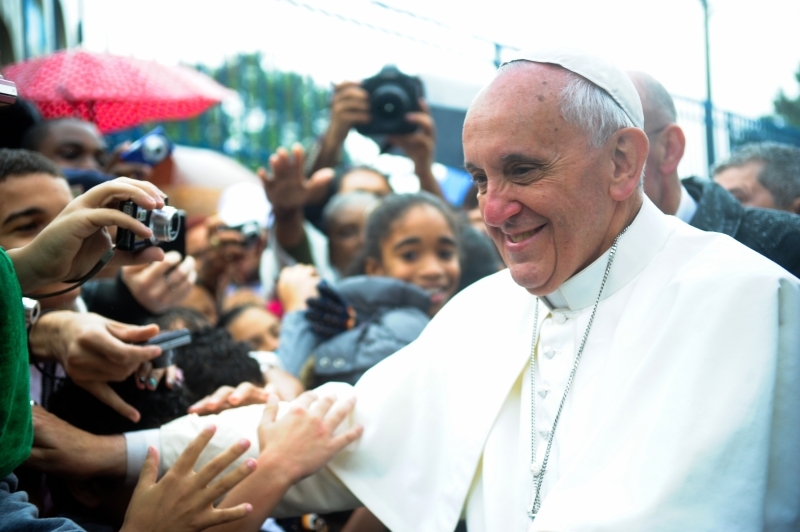 It was his first visit to Loop Head since he left the place with his family in 1934, when he was six months old. And in truth, before the lighthouse opened to the public last July, not many people visited Loop Head at all, barring those select few who stayed in the lightkeeper’s cottage, beautifully restored by the Landmark Trust and available for rent at €480 for a weekend. That has all changed now. There were 17,000 visitors to Loop Head Lighthouse last year, which is very much a mixed blessing for the inhabitants of the peninsula. Those who own pubs, restaurants and B&Bs are glad of it. The rest of us survey the speeding cars, fuming buses and mounting litter and wonder yet again about that much-vaunted “rural tourism gain”. Such were the numbers last summer that people frequently had to wait up to an hour for a tour of the lighthouse. They were often a little cranky already, by the time they reached Loop Head, having had no idea just how far out it was. They promised the kids a trip up the lighthouse; now they’ve driven 40 miles west of Ennis, the kids are fighting in the back of the car and there’s still no sign of this godforsaken R487 coming to an end. Remote is too small a word for this peninsula, and it’s not often that the story comes to us, as it did on Friday, when the Taoiseach arrived together with the ghost of his lightkeeper grandfather. There are no lightkeepers any more, of course. The career was made obsolete when the last manned lighthouse in Ireland – the Baily at Howth – was automated in 1996. The last lightkeeper at Loop Head, Brendan Garvey, left in March 1991. And the history of the lighthouse, sadly, is itself a story of forced obsolescence. Loop Head Lighthouse once saved lives; now it makes money. Where once there were lightkeepers, now there are now caretakers, and county council officials, and tourists, and tour guides. Your tour, presented by a superannuated former Loop Head lighthouse tour guide, starts here. Technically there has been a lighthouse at Loop Head since around 1670. In those days it was merely a signal fire in a brazier on the roof of a cottage (which still stands in the lighthouse complex). The current tower dates from 1854. It is only 23 metres tall but, because of the towering cliffs on which it stands, its height above mean high water springs (MHWS) is actually 84 metres, and its range is 23 nautical miles. (Note to landlubbers: A nautical mile is a little longer than a mile.) Its character is Fl (4) W 20s, which means it’s a white light, flashing four times in 20 seconds. This, together with its daymark, is how mariners know it’s Loop Head. The problem is that mariners know it’s Loop Head anyway, because they have GPS. For almost all of the many ships plying the Shannon estuary – from pleasure boats spotting dolphins to massive container vessels carrying cargo to Moneypoint power station and Aughinish Alumina – Loop Head Lighthouse is just for decoration. The lighthouse goes on flashing out its benign communication during all the hours of darkness, and it is benignly ignored. The message makes no difference to anyone. Towards the end of his speech on Friday, reasoning perhaps that Loop Head was as good a place as any in which to torture a metaphor, Enda introduced the subject of the austerity treaty. “Just as this white light sends out the signal of hope and safety and confidence, may your vote on the 31st be the white light of hope and confidence for the future,” he said. 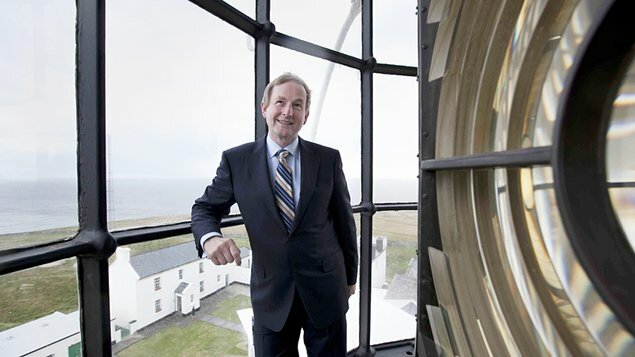 Then, after high-fiving the local schoolchildren, for all the world like someone who models himself on Barack Obama, Enda quickly surveyed the lighthouse exhibition and then ventured up the tower itself. It was not clear enough to see the Twelve Pins to the north. Enda gazed south instead, towards the Dingle Peninsula, Mount Brandon and the Blasket Islands. Among those islands is Inishvickillane, once owned by Charlie Haughey – a man who, like Enda, preached austerity but who, unlike Enda, somehow managed to get away with it. This despite the fact that Enda is clearly wearing the worsted, whereas Haughey, had he been a lightkeeper, would have had the fine serge and still somehow finagled the second pair of trousers as well.